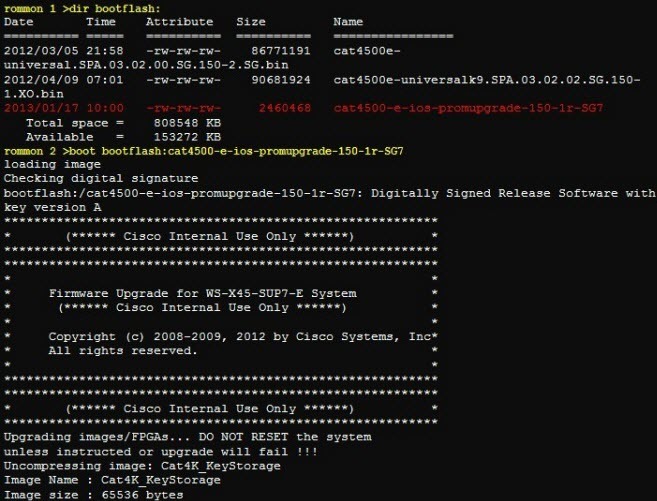 You are here: Home 2013 October How to Upgrade Cisco 4500 SUP7-E&Sup7L-E ROMMON to Support VSS? How to Upgrade Cisco 4500 SUP7-E&Sup7L-E ROMMON to Support VSS? VSS (Virtual switching system) can enable on Catalyst 4500/4500X series switch (Supervisor Engine 7-E, Supervisor Engine 7L-E, and Catalyst 4500-X). 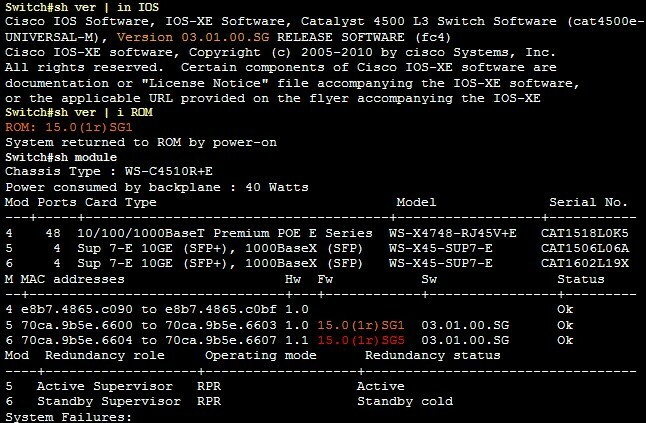 Cisco IOS XE 3.4.0SG and ROMMON IOS Version 15.0(1r) SG7 later released support VSS. 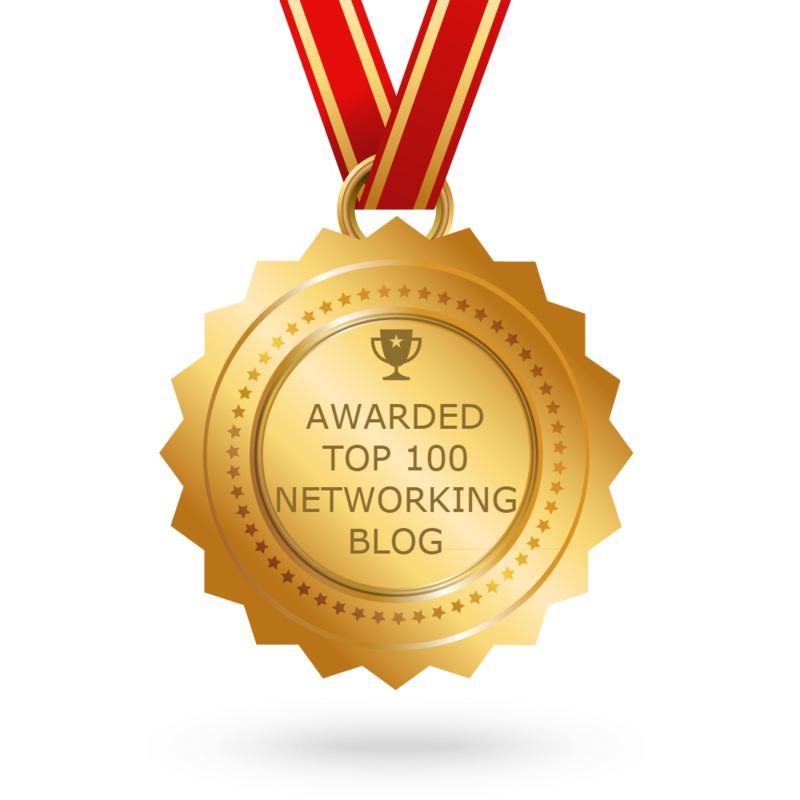 This article will discuss about Cisco 4500 SUP7-E ROMMON upgrade. Step1: You can verify your current ROMMON using “show version” command as shown below. I have dual supervisor engine present in my chassis, so to verify standby supervisor engine ROMMON you can use “show module” command. We are upgrading ROMMON to 15.0(1r) SG7 to run VSS on it. 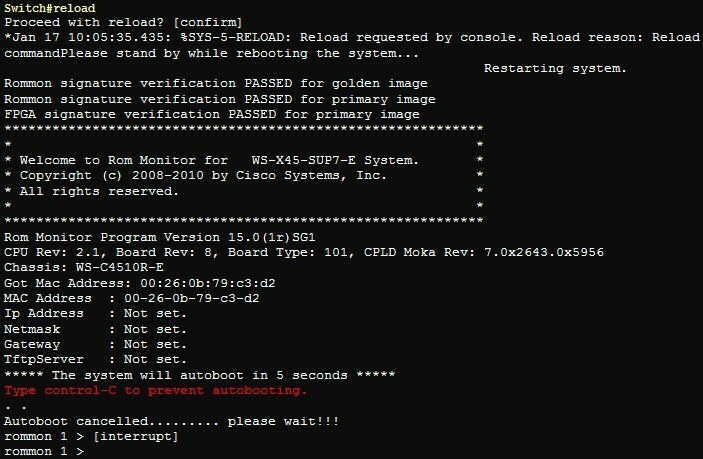 Step2: You need to download ROMMON Image from Cisco.com. Please find the below path for your information. Step3: Then you need to Copy this ROMMON image file into supervisor engine flash (both active as well as standby) from your TFTP server. Before copying file please verify your flash/disk memory space using “Show bootflash:” or “Show slave bootflash:” command to avoid any file transfer failure. Step4: Enter the “reload” command to reset the switch and press Ctrl-C within 5 seconds to stop the boot process and you will be in ROMMON mode. Once you reload your active supervisor engine, device standby supervisor engine will become active processor. Below output shows your standby is becoming active. 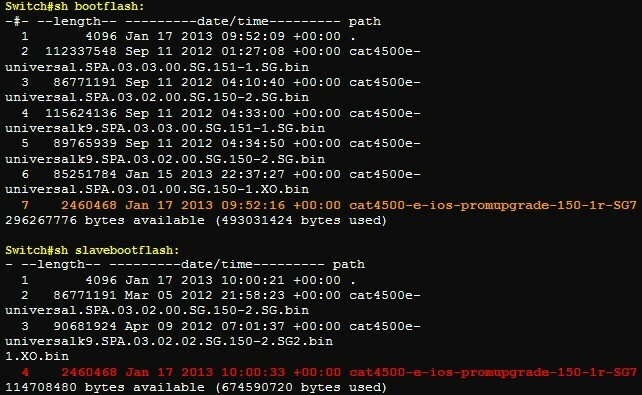 Step5: you can use “dir bootflash:” command see to ROMMON file and use “boot booflash:file_name” to get upgrade. Step6: This may happen automatically if the system is configured to auto-boot. You can configure auto-boot using “boot system bootflash:cat4500-e-ios-promupgrade-150-1r-SG7” to happened boot process automatically. Be sure you write your config after this command. Once above supervisor engine booted with new ROMMON image it will become standby supervisor engine and you can verify its image on your active supervisor engine using “Show module” command. Mod Ports Card Type Model Serial No. Step7: Follow the step 4-5 on current active supervisor engine to upgrade its ROMMON. Once it boot it will become standby supervisor engine. Cisco Catalyst 4500 Switch, How to Configure a DHCP Relay on It?